Home / What Kind of Skip Bin Is Right for Your Project? When you’re looking into skip bin hire, the range of sizes and types can be more complicated than you might have expected. Skip bins make a great option for cleaning up your property, but the demands of a construction site differ from the requirements of a simple spring clean. Knowing the difference between the types and sizes of skip bins doesn’t have to be a hassle – today, we explain what you need to know about choosing the right skip bin. Skip bins come a wide range of sizes – from as small as two cubic metres, to as large as 30 cubic metres. Estimating exactly how much space you need can be difficult at a glance, but it can help to think of it in terms of standard car trailers, each of which has a volume of around one cubic metre. Therefore, if you have around six trailers worth of waste material, you could be after a six-cubic-metre skip bin. It’s worth remembering that you are not allowed to fill a skip bin above its walls – this can incur extra costs during collection. This means it’s a good rule of thumb to overestimate the size you need, rather than underestimating and winding up paying extra. Finally, while you’re thinking about size, consider what different types of rubbish you have. 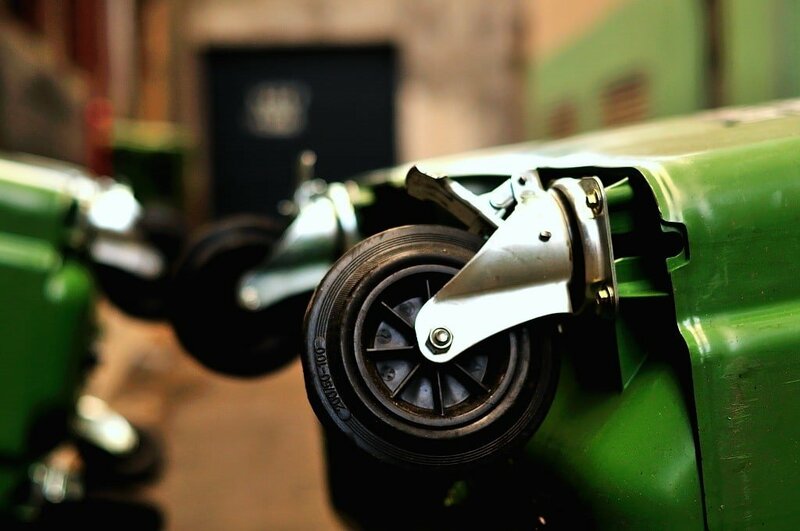 If you have rubbish that includes green waste – such as plant material – then it could be worth hiring two small skip bins rather than one larger one, as the waste will need to be processed differently at the disposal facility. The next thing to think of when you’re about to hire a bin is type. Skip bins come in a variety of shapes as well as sizes – there are low-sider, high-sider, huka and dome-loaded bins. The most important distinction for you to make is an easy one, and it’s based on what you plan to dispose of. Hardfill, such as bricks or concrete, can only be disposed of in low-sider bins, ranging from two cubic metres to six cubic metres. Rubbish and Green-waste can be dealt with in all varieties of bin, so you can select any of them that offer the volume you need. Also note that hardfill is only accepted if it’s clean, and not contaminated by any other sort of waste product. This is why they require their own particular skip bin. If you’re still unsure what size skip bin you need for your project, talk to the experts at Bargain Bins today. Our friendly team can help you out with all the need-to-know details of hiring a skip bin, making the process quick, easy, and affordable. If you’ve got waste to remove in Auckland, Hamilton, or Tauranga, call Bargain Bins today!